KAMPALA – The archdiocese of Gulu will this weekend play friendly football, netball and volleyball games with the Archdiocese of Mbarara, represented by their Kampala association (AMDA) in games intended to raise awareness for preparations for the Uganda Martyrs Day Celebrations 2019. Archbishop John Baptist Odama of Gulu will be the Chief Guest at the games that will be played at the Uganda Institute of Communication Technology (UICT) playground Nakawa, (Post Office Nakawa) on Saturday, February 23 starting at 2p.m. Archbishop Odama will thereafter on Sunday February 24, preside over Mass for the two groups at Kitante Primary School, in Kampala, starting at 10 am. The archdiocese of Gulu has been selected by the Uganda Episcopal Conference to lead the 2019 Uganda Martyrs Day celebrations, with Archbishop Odama set to be the main celebrant. 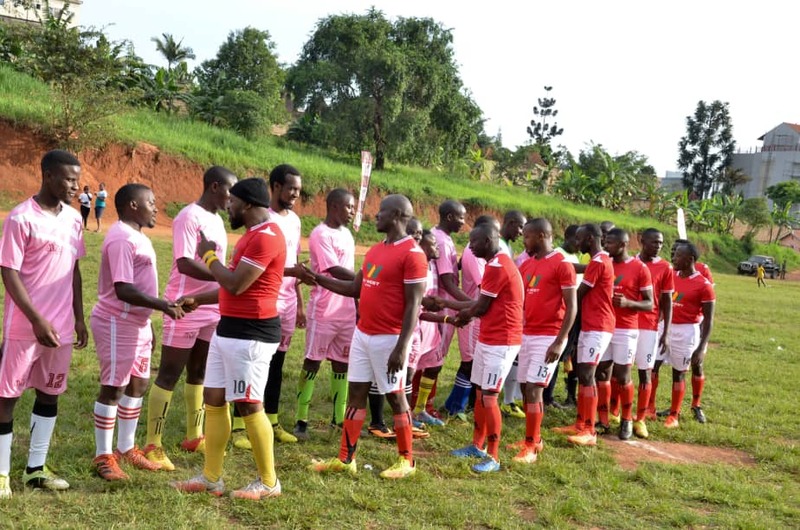 According to Archdiocese of Mbarara Development Association (AMDA) Chairman Dr. Gaston Ampe, the friendly games between the two sister archdioceses is a great initiative that will foster unity in diversity brought through the intercession of the Uganda Martyrs. “We thank our brothers and sisters from Gulu for this initiative and pledge to work with them for the success of the 2019 Martyrs Day celebrations this year,” Dr. Ampe said. “Of all the communities and groups in Kampala, that Gulu Archdiocese under the leadership of Archbishop Odama chose our AMDA community, is a sign of the love they have for us and the solidarity existing between the archdiocese of Gulu and that of Mbarara. We hereby reciprocate that gesture and pledge our solidarity and support. We shall render support where we can in the preparations for the 2019 Uganda Martyrs celebrations at Namugongo, animated by Gulu Archdiocese”. “I thank all the members of Archdiocese of Mbarara Development Association (AMDA) for inviting me and my faithful of the Archdiocese of Gulu to share with you these two days in the context of celebrating the Uganda Martyrs Day 2019. Through your Chaplain, Fr. Darius Magunda, I thank my Brother Archbishop Paul K. Bakyenga for welcoming us and making this historic visit possible”. Archbishop Odama said the theme of this year’s celebrations will be, “Obey God Always and Everywhere (based on Acts.4:19), as a rallying call to all pilgrims who annually come to honor the Uganda Martyrs and indeed all mankind, to come back to God and be loyal to Him. “The pilgrimage to Namugongo is a celebration of the renewal of our faith, hope and love in God. This demands that we become conscious of the consistent presence of God among His people,” he said. Archbishop Odama called on their faithful to support preparations for Uganda Martyrs Day 2019. “I call upon all of us to use our resources to support the celebrations honoring the Uganda Martyrs in obedience to God. We thank all those who have come up to support this cause of celebrating the victory of God in the lives of the martyrs which rallies millions of people to God. We thank the people of the Archdiocese of Mbarara for this spontaneous initiative to come to play and pray together with our faithful. This is also a clear sign of and concrete expression our communality as a Church”, he said.